The primary function of Sary-Shagan is testing of anti-ballistic missile (ABM) systems. Duncan Lennox, ed., Jane's Strategic Weapons Systems, 1996, Issue 18, May 1995; "Known Nuclear Tests Worldwide, 1945-1993," The Bulletin of the Atomic Scientists, May-June 1994, p. 62; Sayre Stevens, "The Soviet BMD Program," Ballistic Missile Defense, Ashton B. Carter and David N. Schwartz editors, The Brookings Institution, 1984, pp. 191-197. Sergey Sokut, "Udarom na udar," Nezavisimoye voyennoye obozreniye, No. 44, November 1999, pp. 1,4; WPS Oborona i bezopasnost, No. 135, 17 November 1999. 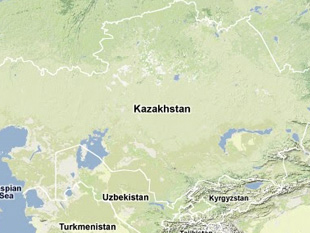 "Kazakhstan nameren kommertsializirovat poligon Saryshagan," Panorama, No. 34, September 2001. Merhat Sharipzhan, "Kazakh-Russian Military Cooperation," NISNP E-mail correspondence, 1 November 1996. "Known Nuclear Tests Worldwide, 1945-1993," The Bulletin of the Atomic Scientists, May-June 1994, p. 62. Sayre Stevens, "The Soviet BMD Program," Ballistic Missile Defense, Ashton B. Carter and David N. Schwartz editors, The Brookings Institution, 1984, pp. 191-197. Duncan Lennox, ed., Jane's Strategic Weapons Systems, 1996, Issue 18, May 1995. Duncan Lennox, ed., Jane's Strategic Weapons Systems, 1996, Issue 20, January 1996.